Fantastic Sacred Hearts & Skulls in the Mexican Paper Mache Tradition 2017. Create and hand paint a Sacred Heart or Mask steeped in the rich cultural history of Mexico after getting an expert demonstration. Breathtakingly colorful Sacred Hearts and Masks have long been part of the Mexican culture. 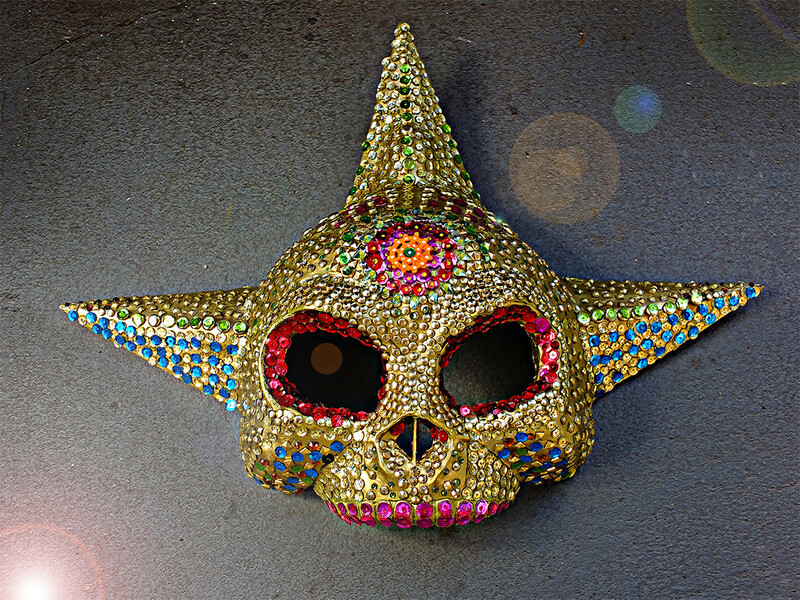 Beautifully decorated paper mache masks are often used in celebration of Dia de los Muertos or Day of Dead. Dive into the rich history of the paper mache tradition alongside internationally. This is not a paint by numbers or “Paint Night” type art class. Art students are free to explore a free range of colors and iconography. All art attendees should expect to wait up to 24 hours for paper mache art form to dry after class! "Diego has fabulous energy andjoy!" "I recommend Diego's excellent work and workshop teaching. Any level of artist or non artist will benefit from Diego's knowledge and enjoy his humor." Latest Calavera Mask in progress by Diego Marcial Rios. "Follow me on Facebook to see progress on mask-making projects. I show various stages of the process." "I look forward to sharing inspiration and imagination!" Come, find out who you really are behind that mask. Be ready to surprise yourself.